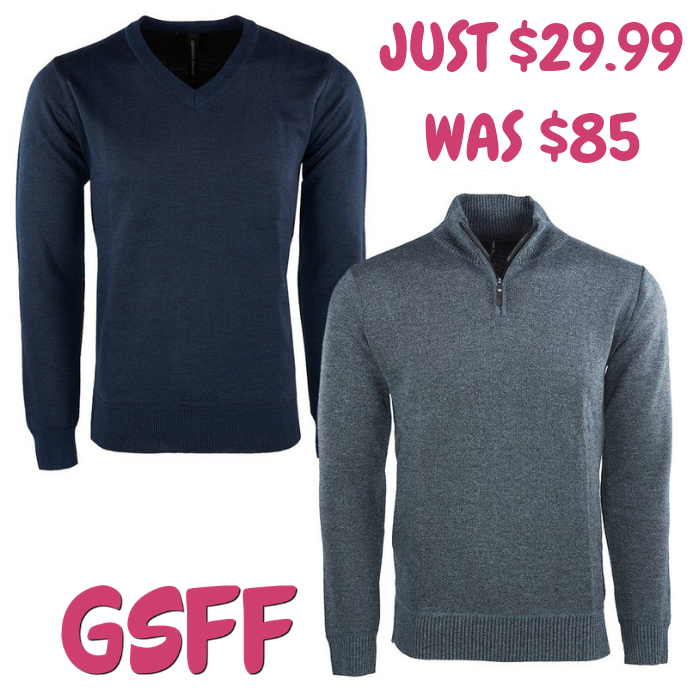 Men's Sweater 2-Pack Just $29.99! Down From $85! FREE Shipping! You are here: Home / Great Deals / Men’s Sweater 2-Pack Just $29.99! Down From $85! FREE Shipping! Men’s Sweater 2-Pack Just $29.99! Down From $85! FREE Shipping! Head over to Proozy where you can get this Men’s Sweater Holiday 2-Pack for just $29.99 down from $85 when you use promo code PZY2999 at checkout PLUS FREE shipping! These Leonardo Gavino sweaters are a pure classic soft feel. Excellent colors available in a slim/cut fit. Hand wash recommended but cool wash on delicate style to keep your new sweater in fabulous condition.